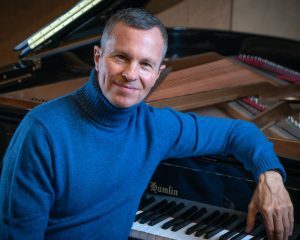 Series director Michael Adcock presents a unique program dedicated to the concept of the “divine” in music, as represented in the works of composers such as Bach, Beethoven, Bartok, Messiaen, Ives and Scriabin. More information: call (410) 381-0097, or contact Michael Adcock, Associate Director of Music Ministry and concert coordinator (click to send an email). At the door (cash or check only): Adult $25; Student (15-23, with student ID) $20; Children (under 15, accompanied by an adult) FREE. Enhanced giving levels: Patron $30; Maestro $50.